Chris Dandrea’s radio story is the latest in our series called Listener Posts, where I will place all of your personal radio histories. If you would like to add your story to the mix, simply send your story by email! How did I get interested in radio? I don’t know how young I was but I must have been about 7 or 8 when my dad gave me an old tube type GE clock radio for my room. I can remember turning it on and watching the tubes glow and listening for the audio to come out of the radio after the tubes warmed up. I was so fascinated by the glowing tubes that I took the chassis out of the radio housing and put it on my window sill next to my bed so I could listen to the radio and watch the glowing tubes. Looking back on this I now know how dangerous this was. I was just a kid what did I know after all it was cool looking at those glowing tubes. I can remember tuning up and down the AM band in search of some old time radio shows. 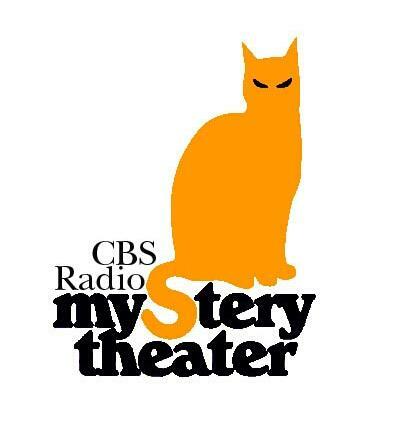 I would also tune in to some new time radio like the CBS Radio Mystery Theater. Mind you this would come on a local station just after the 11 o’clock news, so getting up the next morning was very difficult. I can remember my mom yelling for me to get up so I could catch the school bus. I could not help myself I was addicted to radio and radio dramas. I would tape the CBSRMT on a little shoe box tape recorder that I had next to the radio. The tapes I used where of the highest quality that Kmart had to offer to a kid with a buck a week allowance. I remember using C60 tapes and trying to get the first two acts to fit on side one so I could flip the tape over and get act 3 on side 2. If I could just stay awake long enough to get the tape flipped over and hit record! I would stay awake long enough most of the time. I would also use Velveeta cheese boxes for tape storage. I think you could get 8 in a box with out tape cases. I wonder if any other kids did this? I remember that my dad was kind of a radio nut as well. He had several radios, nothing expensive or exotic but he liked radios. 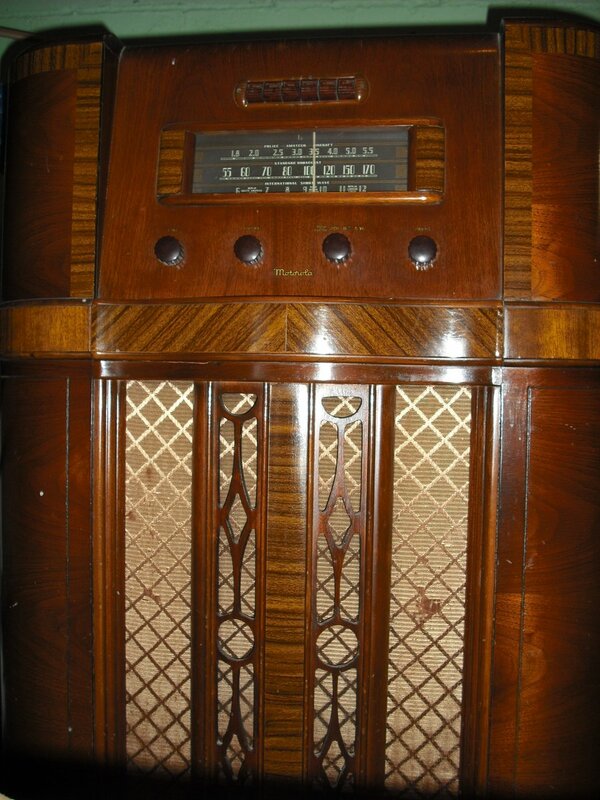 He had this 1938 Motorola floor model [see photo above] that he picked up from someone that was moving. He and a friend replaced some tubes and caps and got it playing. I remember tuning up an down the SW bands and listening to all kinds of things on that radio. I was so amazed by how far away the stations came from and all the different music and sounds that played on that old radio. I guess I got the radio bug from my dad. I am now the owner of that 1938 Motorola radio. It’s too bad that my kids have no interest in radio at all. You know Its funny, you are either a radio person or you are not a radio person. You know what I’m talking about if you have ever tried to explain why you like radio and you get that blank look with glazed over eyes. Radio is just magic and if you don’t get that you never will. Chris, you may hear me repeating your final quote in future posts! I couldn’t agree with you more. This entry was posted in Listener Posts, Nostalgia and tagged Chris Dandrea, Listener Posts, Radio Stories, Your Radio Story on November 12, 2013 by Thomas. This formula is valid for any Loop antenna. See ARRL articles in W R A H.
I used to listen to the Mystery Theater all the time as well. Thanks for the story!